Does a practice website “expire” or stop being useful? How do you know when you should redesign or update your website? If it is time, do you have to start from scratch? These are common questions not just in the physical therapy industry, but in small businesses nationwide. In fact, there’s almost no end to the number of articles produced by web design companies happy to offer their suggestions. The most common perception is that as a business, you should redo/update your website every 2-3 years. But, where does that number come from? And, does it apply to a PT Practice? One of the first things any web developer will tell you is technology changes so fast that websites created now are using drastically better features & techniques than those of even just 3-5 years ago. Saying that doesn’t necessarily explain anything. Why is new better? While a web developer understands the inherent benefit of new features, Marketers and Practice Owners are more interested in results. What measurable result would an updated website offer other than “looking” or “feeling” new? The honest marketing answer is one word: Google. As marketers, one of the best things we can accomplish is good Google rankings and to acquire that, we have to play by their rules. For example, in the last year alone Google has released a dozen or more major adjustments to their search algorithms that have website managers making changes. In 2018, the biggest was probably mobile page speed. So, yes updating your website for speed and mobile responsiveness should help your SEO results. But, that’s just one argument. It still might not answer the question “Is an investment like this worthwhile for my practice?” So let’s drop the hypotheticals. There are plenty of statistics you can judge a website by. In this article, I’ll ask you to look at 3 of the most important. Answered accurately, these questions will allow you to make a confident decision. How Many Patients/Month Do You Get Online? Forget saving the best for last, let’s get down to it. This is what your website should be doing right – helping you get direct-access patients? So, the first step is simple. Find out how many patients per month your website generates, and compare that to your annual targets. If your results are below where you’d like them to be, either advertise more or update your website if ads aren’t working. If you’re unsure of how many results your site gets, talk to your developer about tracking statistics. How Many Calls/Leads Do You Get From Your Website? A well-trained staff can make phone calls your highest converting new patient tool. Does your website increase the number of potential patients you get a chance to close on the phone? Now, I don’t mean you have a website, and you get some calls. You need to know EXACTLY how many calls come from your “call us” buttons on your site, and any good web developer can set this up. So, if your calls are lower than you’d like, or you don’t have calling features or tracking setup, it may be time for an upgrade. One smaller factor to look at here is email leads. Does your website help you gather new leads for email marketing? How many do you get per month? Would you like more? 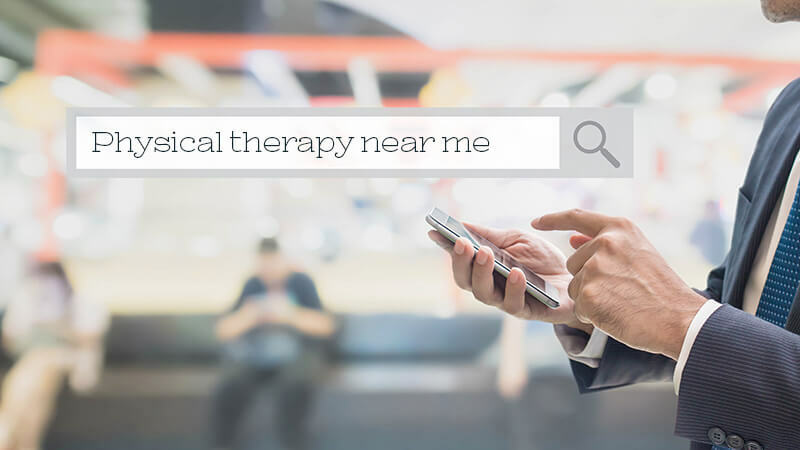 Is Your Website Turning Patients AWAY… To Your Competition? Are potential patients looking at your site, but leaving quickly and settling on a competitor? It’s normal for people to browse more than one site. But unfortunately, many of them will simply stay on the most modern, easy-to-use site instead of who has the best service. It’s superficial, but consumers judge with their eyes first. In fact, as much as 94% of negative website feedback from consumers is design related… Ouch! The way to statistically determine if your site is turning people away is to check your bounce rate and average time per session in Google Analytics. If people are only spending 15 seconds on your site, you have a bounce problem that a new look will likely help. Pro tip: You can also ask 10-20 who don’t know you to look at your website vs 2 or 3 competitors and say which they like better at just a glance. Don’t let the feedback depress you, but don’t ignore it either. BONUS QUESTION: Are The Above Statistics Hard To Get? If so, it’s time to update your website. Having a site you don’t know works or not is worse than having one that doesn’t work, but you know why. Information is power, so discuss analytics with your website developer. So… Is The Milk Sour? If the above 4 questions left a sour taste in your mouth – if you want more patients, more calls, and better results online – then you can confidently say it’s time to update your website. Want a website with guaranteed results? See how we can help here.